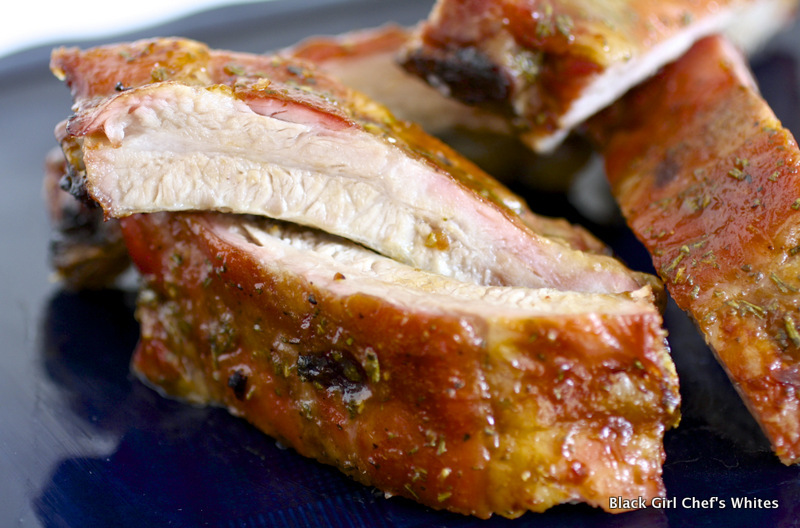 Rosemary Honey Mustard Baby Back Ribs. That’s a mouthful, and a sweet, savory, delectable mouthful at that! 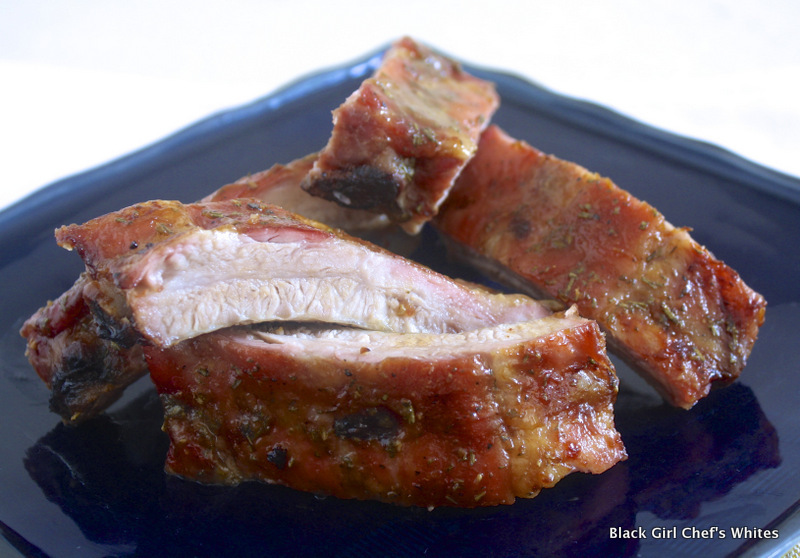 The second baby back rib recipe in my three part series, again starts with Seasoned Salt. 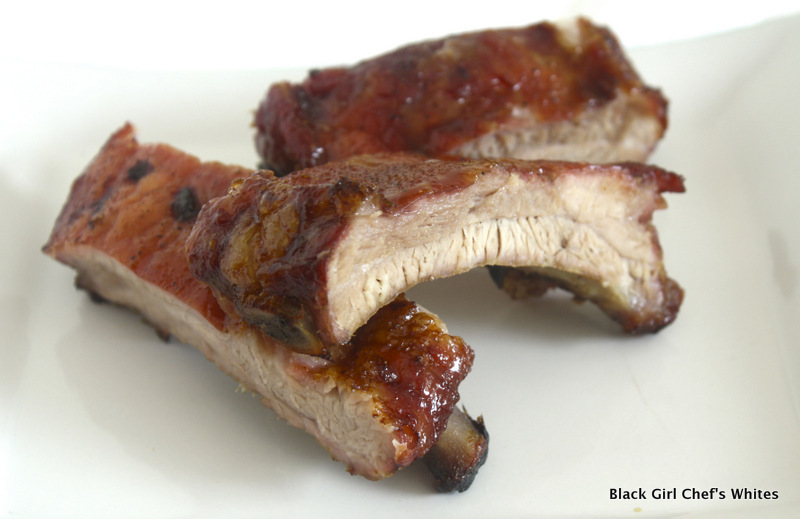 Click here for part one of the series, Maple Bourbon Baby Back Ribs. But then everything changes with the addition of this fragrant, sweet and spicy sauce. Generously sprinkle the rack on both sides with seasoned salt, rub to distribute well. Place ribs onto a foil lined large baking sheet. Roast the rack for 1 1/2 hours. While the ribs are cooking, stir together the rosemary, mustard, honey and vinegar. Baste the rack with rosemary honey mustard, roast 15 minutes, baste again. Repeat basting every 15 minutes, until the ribs have roasted for 2 1/2 – 3 hours and very tender. Let the rack rest about 10 minutes before cutting into individual ribs. In a small bowl mix all the ingredients together.